How did the stars brush their heart? The blossoming day was 10th January 2016, when two stars were seen together at the Weinstein Company/Netflix Golden Globes after party.”Katy literally dropped to the floor and was waving her booty around, beckoning Orlando,” a source says. But they want to keep it Secret! After spending time together, they thought it’s the right time to go official. Katy shares the picture of her and Orlando with the caption, “we cannes’t”. Their pictures together were fo Cannes Film Festival. I think they tried very hard to play cool for the photographer and they succeeded. Katy Perry admires Hilary Clinton. And they become besties in 2016 Presidential election that she had a makeover of Hilary Clinton. Katy Perry attended a UNICEF event in her honor. When Hilary was giving the speech, Orlando briefly touched Katy’s stomach that sparked the rumors of Katy’s pregnancy! The breakup of the PerryBloom! The singer and actor were dating for just less than a year and they announced they have broken up. They didn’t want the breakup to go viral that’s why they testified it clearly in a statement. The statement says, “Before rumors or falsifications get out of hand, we can confirm that Orlando and Katy are taking respectful, loving space at this time,”. Good News: They got back! If you think that you didn’t know about the news, don’t worry. You’re not the only one. 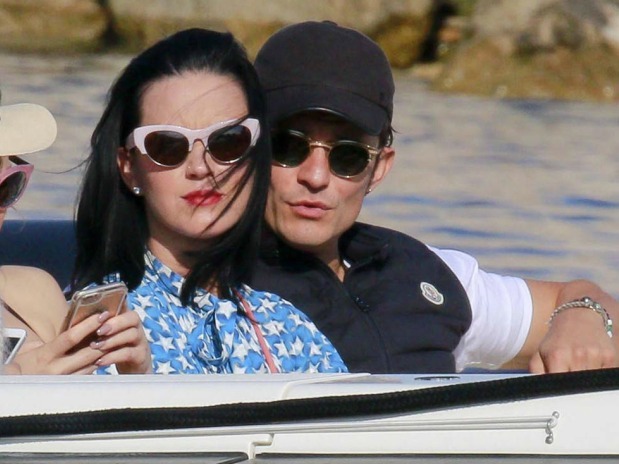 They kept their relationship pretty low key.”Katy and Orlando have worked out all their kinks and have had really fluid communication about what each of them wants”, an insider reveals. Does Tyga’s Message To Kylie Jenner Indicate Something?